can I go for sony ericsson k550i or this one? I want the phone to run many applications like widsets, opera mini, and plusmo etc. my brother has k550i and it runs applications well but resolution of k550i is 176*220 I think this phone resolution is 240*320.. can I buy this for running apoplications including maps or will this disappoint me? is google maps location based service available in this phone? 7310 supernova only one word awsome...! according to smape.com this phone is unisex!! it looks like the nokia 1100.the colors are cute though. i buy it from big bazzar (inderlok,delhi).it's price is about rs.7800.it is a cool phone &u should buy this phone. Is there a limit for the callendar positions? I need to have a lot of inputs for appointments and anniversaries. Himanshu, 03 Dec 2008Hi. I want to buy this phone for my wife. 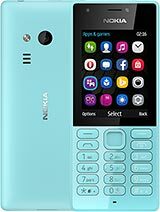 I am looking for a sturdy phone with atleast 2MP cam... moredear himanshu, pls don't buy this phone better u buy the nokia 6220. the 5 megapixel, it's not stylish but it's one of a kind quality. all colored cellphone are usually sensitive when u drop it, just be extra careful. Hi. I want to buy this phone for my wife. I am looking for a sturdy phone with atleast 2MP camera since we have a 1 yr old kid who at times drops the phone. I am confused between this one and Nokia 5220. Can anyone suggest which is better for me if I am looking for a sturdy piece whose display wouldn't get impacted with small drops. Thanks. umesh, 29 Nov 2008hay frnds..... am thinking to get tis mob... so cud u plz say me abt the mob, whether the ba... moredear umesh, i am planning to sell this mobile..simply becoz i am not so satisfied with the camera quality but the sound is good like an express music..this is so stylish phone but i need to try 6220 with 5 megapixel cmera. Hy,i m looking 4 symbian cell phones.may i b helped?